Imagine you are the biggest in your industry -- you can be a bank, a car rental firm, a supermarket, a bookstore, a drug store, a pawnshop or any retail store format for that matter. Then, a newcomer entered the market and disrupted what you have been dominating for a long time. Your brick and mortar retail branch network, which is your biggest strength, has become irrelevant as the newcomer's business model make use of online store. Through forming a new league, these players have completely redefined the game by creating new benefits that would ease transaction and increase productivity. They no longer have to comply with retail store operating hours, hence there is no need to reach destination and endure horrendous traffic in the metro, find a spot and spend on parking. Those adhering to a new business model are not anymore required to exert energy only to find an item inside the store, queue in long line for the cashier or teller, unload items for cashier's encoding. The newcomer in business is spared from certain inefficiencies that could transpire like validating products without code and even having to carry bulky items to the vehicle. Today, customers simply order and pay online at any time convenient to them and just wait for delivery to arrive. Imagine the business model of online stores: the proprietor does not anymore need to allocate for expensive prime space, maintenance and possible store renovation. Investing in massive inventory level and hiring for presentable manpower are no longer necessary. To simply put, there is no limit as to the distance your 'store' can serve. Many companies have proven the viability of online stores. In fact, investors have given confidence in terms of stock prices. Amazon in the United States and Alibaba in China are some of the most successful online retailers. Zipcar ridesharing via online membership did so well Avis Rent-a-car decided to buy Zipcar. Tesco renamed as Home Plus in Korea used their smartphone app and converted walls of transport hubs as their product display. This made them grow much faster than the market leader without having to add more brick and mortar stores. ING Bank in Canada passed on substantial savings of not operating a brick and mortar bank and offered online depositors 300% more interest in their saving accounts. They even registered higher customer satisfaction than the leading brick and mortar banks, typically with long queues that annoyed depositors who visit banks frequently. The scariest thought of market leaders is to one day realizing they can no longer bank on their traditional strengths in branch network and that their strengths have become weaknesses. Operating multi-channel network for the convenience of customers may not pose cost and inventory advantage and may even create complexity in managing. Netflix started their online subscription business model sending DVDs by mail, but have shifted to online streaming and have since overthrew behemoth leader Blockbuster in movie rental despite Blockbuster's thousands of brick and mortar stores and multi-channel formats to include online as well as kiosks. Firms must understand the 5 variables that make up their offering model and the 5 variables that make up their operating model. These 10 interdependent variables make up a business model of a firm. Without the right business model, firms will not be able to satisfy some or all of their constituents. There are four steps to review your business model: 1) Documenting existing business model, 2) Evaluating of existing business model, 3) Planning your new business model, and 4) Documenting your new business model. Each of these 4 steps have frameworks and tools that can help executives do strategic reflections of their business model. 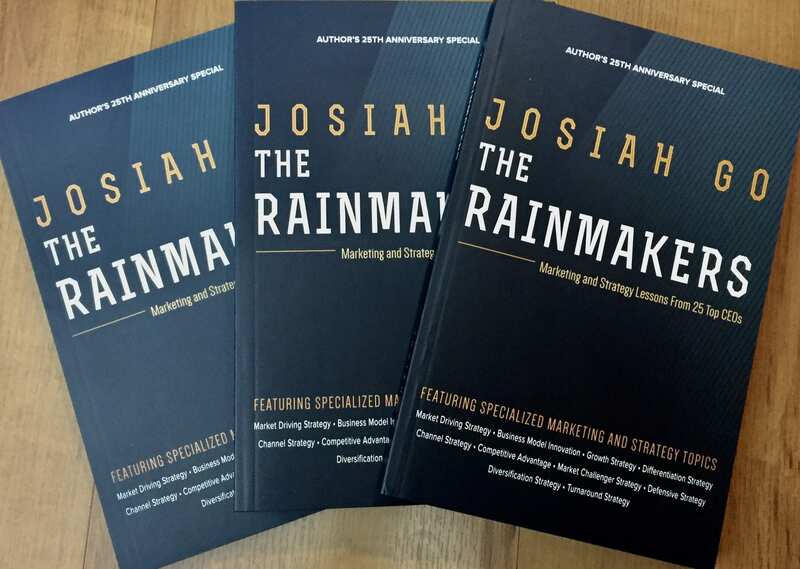 Josiah Go is the Chairman and Chief Marketing Strategist of Mansmith and Fielders, Inc., the only advocacy-based training and consultancy firm focused on marketing, sales, strategy and innovation, write to mentors@mansmith.net or log on to www.mansmith.net for more information.